From an early age, Trina De Busschere always had a passion for the beauty and fashion industry. Growing up, she “found herself always wanting to have ‘her’ hands in people’s hair and found hairstylists fascinating”. After graduating from MC College Saskatoon in 2001, Trina worked at a local hair salon for 7 years, where she developed a large clientele and obtained her Journeyperson Certificate. Between 2006 and 2010, she was hired as a Color Educator for Joico Vero color to teach color classes in salons and cosmetology schools across Saskatchewan, and got the opportunity to work with platform artists across Canada. 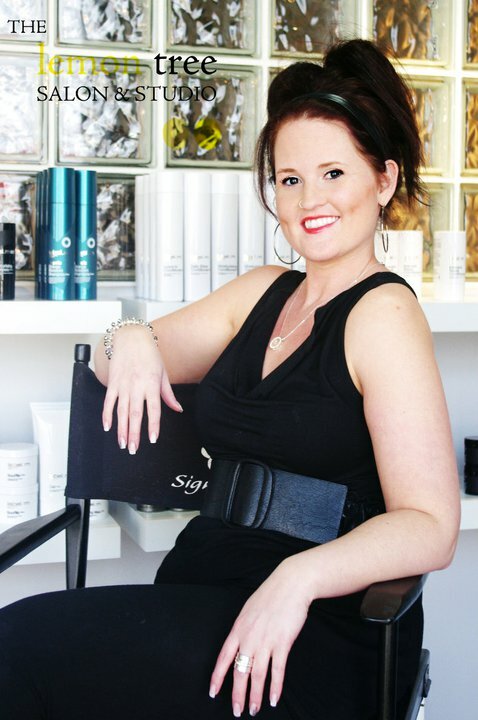 Upon graduating from MC College, Trina knew that her ultimate career goal was to be a salon owner: “with my experience and love for the industry over the past 10 years, I took everything into consideration and knew I could create and run an exciting salon in Saskatoon”. In 2010, Trina and a former colleague, turned their vision into reality and opened the Lemon Tree Salon & Studio. As a stylist, educator and a salon owner, her biggest eye-opener was when she became an entrepreneur, “Until you are a salon owner you will never know how much is involved. From considering employee livelihood…,financial decisions and so much more”.